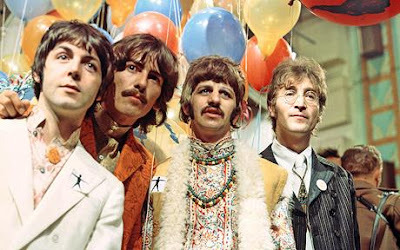 The Beatles Through The Years: The Greatest Rock Group The World Will Ever Know. The Greatest Rock Group The World Will Ever Know. Conquering the USA: The Beatles during their US TV Debut in 1964. From their humble beginnings in Liverpool, England in the late 1950's to their heavily publicized, somewhat acrimonious split in 1970, their comparatively short 8 year recording career that officially began in 1962 when they were signed to the EMI label Parlophone yielded 12 studio albums, 13 EP's (Extended Plays) and 22 singles. They starred in 4 feature films and 1 TV film from 1964 to 1969 and during the 60's had 27 Number One singles Worldwide. They changed the musical world as we know it today. They spearheaded a change in fashion and popular culture, touched and changed millions of lives and left a rich, wonderful musical legacy that will live till the end of time. They are, to put it simply, abso-bloody-lutely brilliant. John Lennon, Paul McCartney, George Harrison & Richard Starkey (Ringo Starr) are four of the most talented people to walk this Earth. Whether you are a die-hard fan like me or are in the minority that claim they cannot stand them or their music you cannot deny their influence on the world. I'm willing to wager that in the Afghanistan mountains there's bound to be someone who will know at least one Beatles song. From those of my readers who know me personally or even just have had a few conversations with me they know that my Beatles obsession runs deep. When I was around 8 years old I saw them on TV. 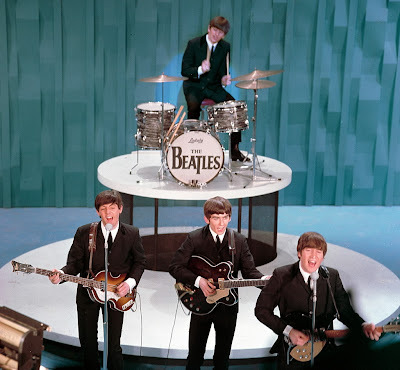 It was their Royal Command Performance from 1963 and they were performing 'Twist & Shout' then I seen clips of the mania surrounding the 1965 Shea Stadium concert and it absolutely fascinated me. Something about the music reached me in a way that nothing else has before or since. My father believes I was destined to be a Beatles fan from before I was even born. My parents took a trip to Tenerife in the Canary Islands when my mother was pregnant with me and they stayed in apartment that was below a British Bar run by a Geordie (Newcastle) couple and they played The Beatles non-stop and loud. I can just picture me in the womb happily listening to the Beatles while I prepared to be born. They fuelled my musical passion and when I was in my early teens I taught myself guitar and played and sang along to the Beatles. 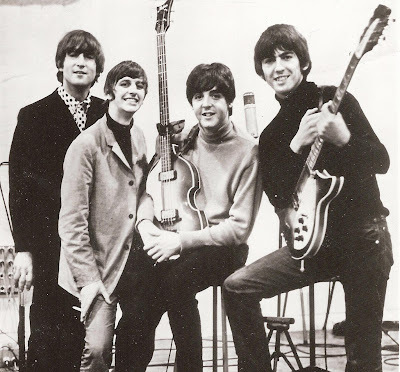 "Getting Better" every day and it's "Something" I still do today with my Wife whom I met on a Beatles forum and we enjoy discussing The Beatles' music and themselves as individual people at length. 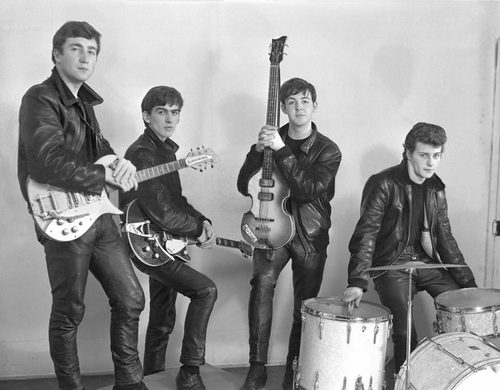 Leathered: The Beatles with Pete Best on drums in 1961. 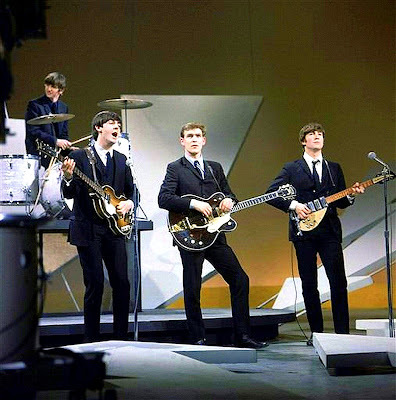 Pete was fired and replaced by Ringo. Pete doesn't know why and according to him, neither does anyone else. 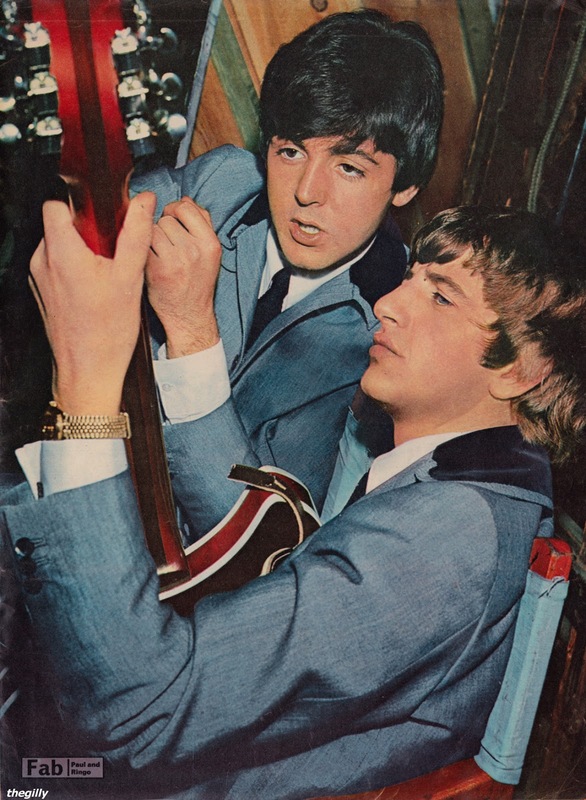 Paul teaches Ringo the Basics of Guitar. 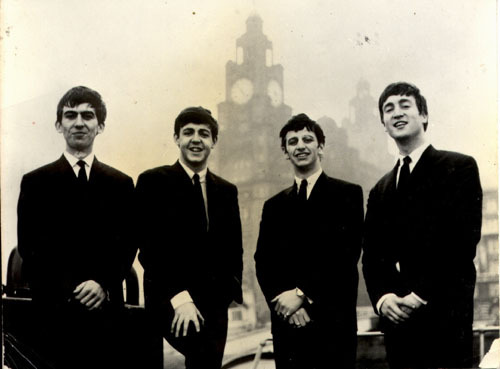 Fab Four: The Beatles in Liverpool, 1962. From L-R: George Harrison, Paul McCartney, Ringo Starr & John Lennon. Recording: During sessions for their fourth album 'Beatles For Sale', 1964. 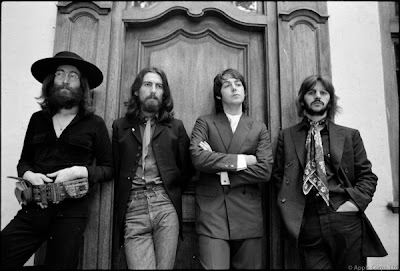 The End: The Beatles gathered for their final photo session in August 1969. The expressions on their faces say it all. They officially split up in April 1970, ending the Greatest Rock Group the World will ever know.